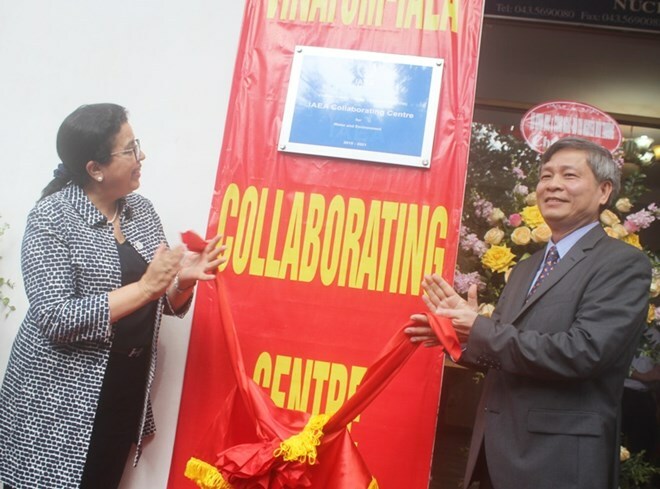 Hanoi (VNA) – The IAEA-VINATOM Collaborating Centre for Water and Environment was inaugurated in Hanoi on April 4. The facility is the outcome of a cooperation pact signed in Austria last year between the Vietnam Atomic Energy Institute (VINATOM) and the International Atomic Energy Agency (IAEA). Its operation will focus on promoting the use of nuclear techniques for holistic water and environment assessment, monitoring and management in Vietnam, as well as broader integrated watershed and coastal area management in Southeast Asia. Speaking at the inauguration ceremony, Deputy Minister of Science and Technology Pham Cong Tac hailed the IAEA’s effective assistance for Vietnam in the past years, saying it has facilitated atomic-energy research, development and human resources training in Vietnam. He stated the support helps Vietnam realise its socio-economic development targets, including the UN’s sustainable development goals. IAEA Deputy Directors General Najat Mokhtar, who is in a visit to Vietnam from April 3 – 7, said as a tropical monsoon and coastal nation, Vietnam is heavily impacted by climate change. The developing country is also facing various environmental issues, she added.